The Elizabeth line is currently being built by Crossrail Ltd for Transport for London and will stretch more than 60 miles from Reading and Heathrow in the west through to Shenfield and Abbey Wood in the east. 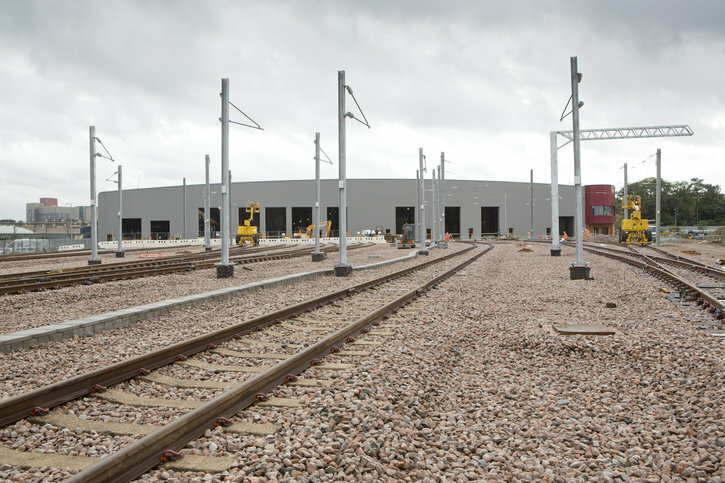 Old Oak Common Depot is a £142m project to house 33 of the new fleet of trains and a unique opportunity has been made available for visitors to see the Operations, Maintenance & Control building before the Depot opens. This behind the scenes look will take place on Saturday 02 September 2017 and provide insight into the scale of the project, complexities involved in delivery, and innovations such as the hybrid renewable energy system that is expected to meet more than 50 per cent of the site’s energy requirements. Each tour will consist of a short 10 to 15 minute talk with slides followed by a guided walk through and around the brand new building. It is expected to last approximately 45 minutes. With a maximum of 14 people per tour group , tours will operate every 20 minutes from 11:20 with the last tour of the day at 15:00. With only 168 tickets available they are expected to sell out quickly! Tickets are priced at £30 and all proceeds from the event will be donated to Place2Be, the leading national children’s mental health charity, and will go towards helping 34 local schools. Great Western Railway are unlocking the doors of their depot at Old Oak Common on the same day with ‘GWR OOC111’, which celebrates over 111 years of its operation. Tickets will go on sale from Thursday 27th July at 18:30. They need to be purchased separately for each of the events from www.oocopenday.com. Please note that the tour may walk on uneven surfaces so stout footwear is essential as no safety footwear is provided. It is also advisable to wear long trousers. Children under the age of 16 must be accompanied by an adult and the minimum age is 4. The tour starts and finishes by a gate behind the Open Day’s main gate line on the GWR site. Please ensure you arrive 5 minutes before your booked tour start time to be ensured your place. Taylor Woodrow is the Civil Engineering Division of VINCI Construction UK. Please contact info@oocopenday.com with any questions about the day or to find out whether we can meet any access requirements that you have.